WWT Ambassadors works with Prof. Stella offner at UMASS Amherst. Prof. Offner uses WorldWide Telescope in the classroom to introduce the lecture topic at the beginning of class. Each tour is 3-10 minutes long and contains music but no narration. 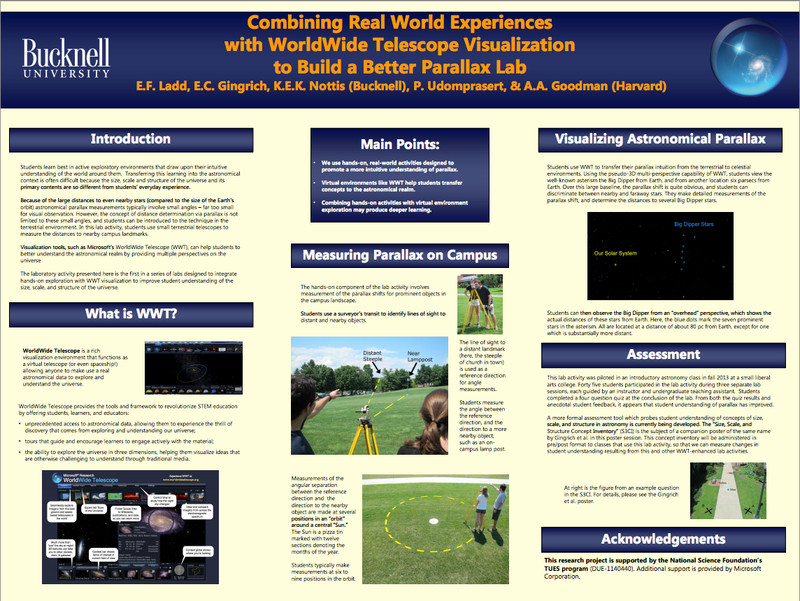 Prof. Ned Ladd at Bucknell has developed two labs using WorldWide Telescope to help students learn about Parallax motion and the Hubble Law.